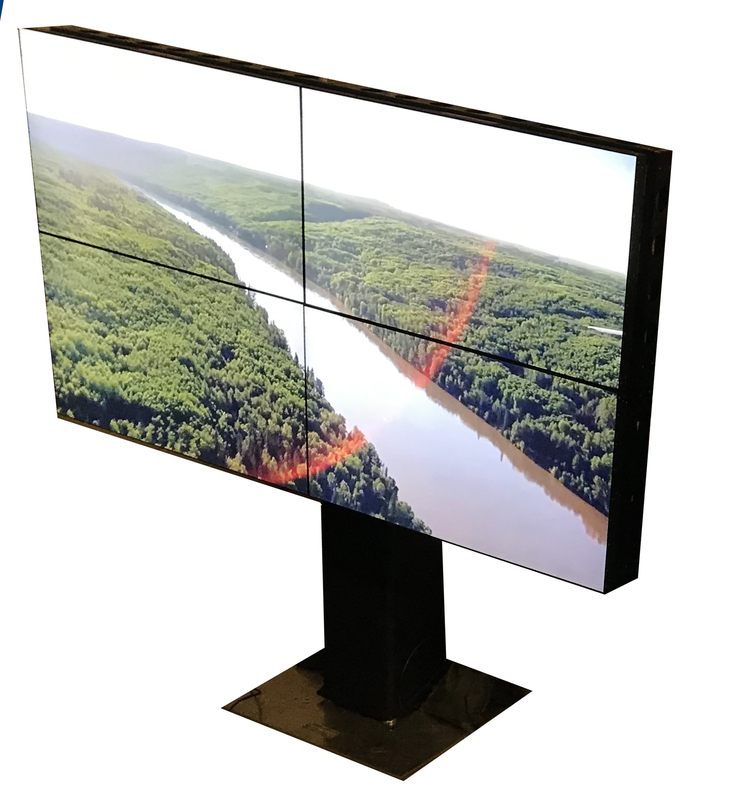 Achieve a 92″ Diagonal display in full 4K resolution (4×1080) with this NEC thin bezel solution. 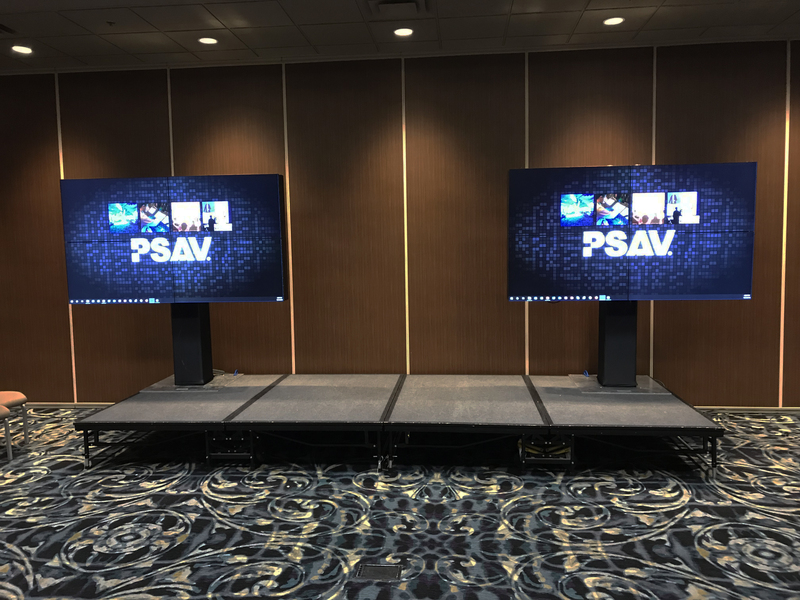 Comprised of 4 NEC 464N-2 Commercial Videowall panels positioned on a custom steel frame, mounted on a 6.5′ Vertical truss – this setup gives a very clean and modern appearance, while delivering excellent viewing and reading capabilities. 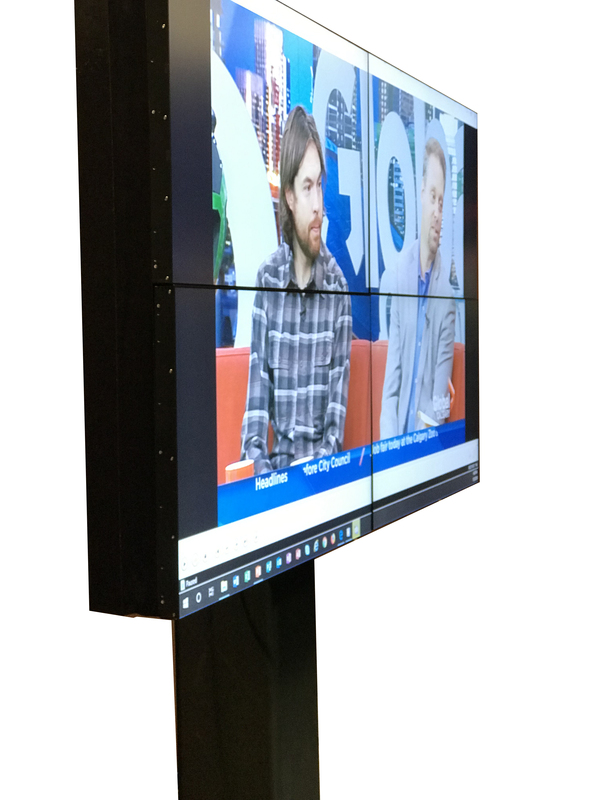 A black spandex sleeve completes the appearance to give a consistent appearance, without robbing stage space with a cumbersome frame mounting system. 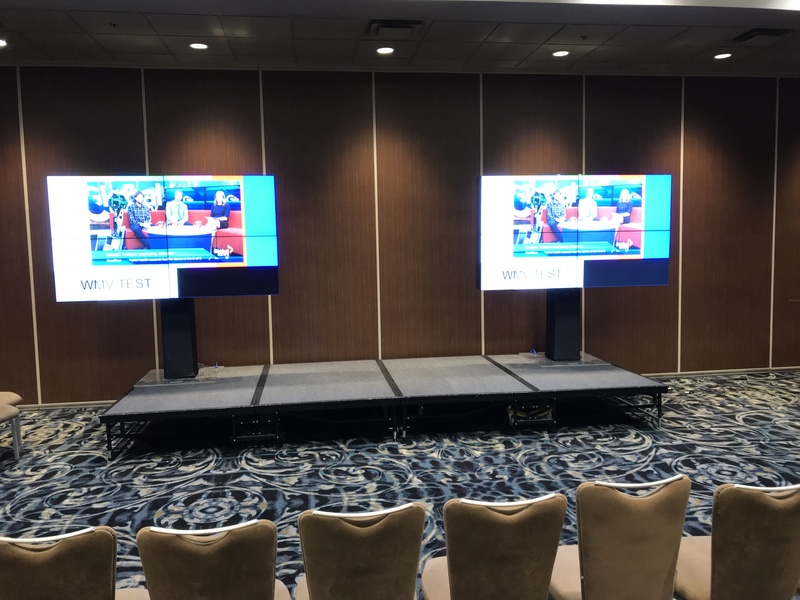 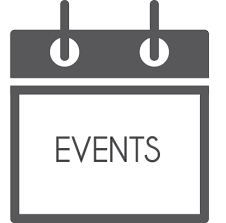 Setup by CTR professionals for your next event, and ready for your HDMI/DVID/VGA 16:9 content.